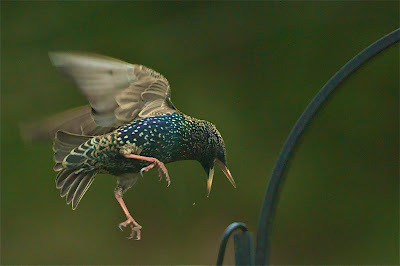 We had a starling attack yesterday in the back yard. 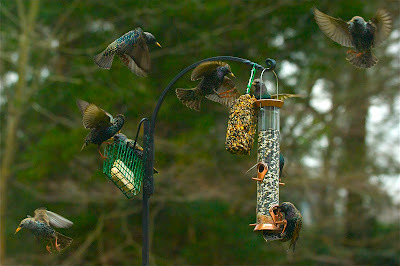 Everybody and his brother were here taking over the bird feeder. Here are a few action shots. 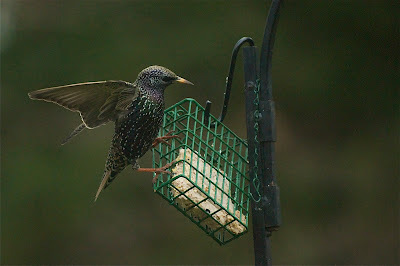 wonderful bird shots! 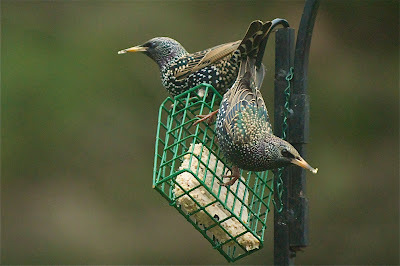 Wow..they are beautiful!